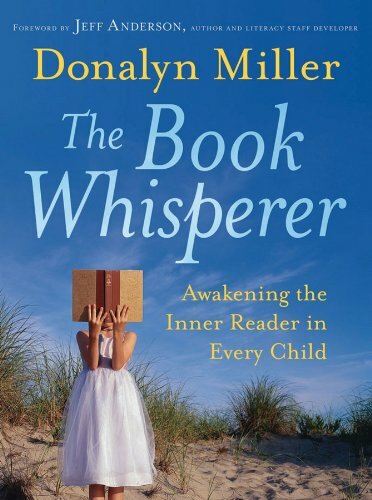 My first professional read of the summer was Donalyn Miller's The Book Whisperer. I came away from it questioning everything I've done as a reading teacher. And I'm happy to be doing that. The big question I've started to ask is: "Do the things I do in class promote reading?" My reflection reveals a mixed record. I have always taught in Accelerated Reader schools and put quite a bit of effort into calculating, monitoring, and rewarding student reading goals. No matter how high or low I set the goals, I always had about 25% of my students who never reached a grading period goal. As I conferred with and observed these students, I found that they would start books, but rarely finish. They weren't motivated to read and earning AR points wasn't doing anything to help. The time I invested on managing reading would have been better spent promoting reading. As a teacher, I need to help connect kids to the books that will make them passionate about reading. I should start with book recommendations to the class and individuals. My classroom needs a "reading culture" where students talk about and trade books on a regular basis. Reading is intrinsically motivating, and students need the opportunity to learn that. 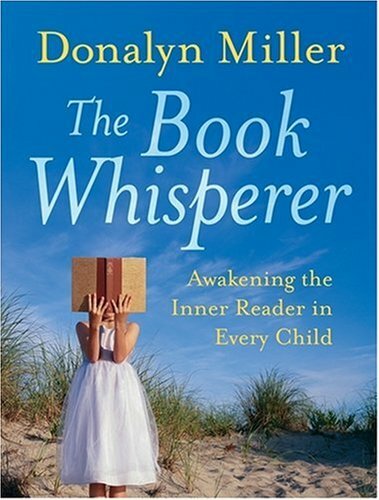 Another big idea from The Book Whisperer is how important it is to have self-selected independent reading time in school. I haven't given my students much time for that in the past few years. Our reading program was focused on direct instruction in reading strategies and practice with short passages. I saw growth in comprehension ability, but I can't recall having a student learn to love reading under that instructional model. So what will I do next year? Next year, I'll be teaching my school's advanced learning program: teaching the high math and reading switch groups for grades 3-5. I plan to start each of my reading switch classes with independent reading time. Donalyn Miller asserts that beginning class with independent reading time is more effective than any entry task that can become "busy work." Next, I'll set a 40 book goal for all of my students and help them set up personal reading logs to keep track of progress. I'll also set some genre requirements. At least ten of their books will be free choice, but I plan to require students to read some biographies, historical fiction, fantasy, science-fiction, classics, and informational non-fiction. Finally, I want to give my students an authentic audience to share about the books they read. We'll post reviews in our classroom and school library, create a blog of book reviews, and create opportunities to talk about books. In addition to my work with students, I want to read more. If I've read the best books in current children's literature, it will be easier to help my students connect with just the right book. I'm going to set some time aside each day for reading. 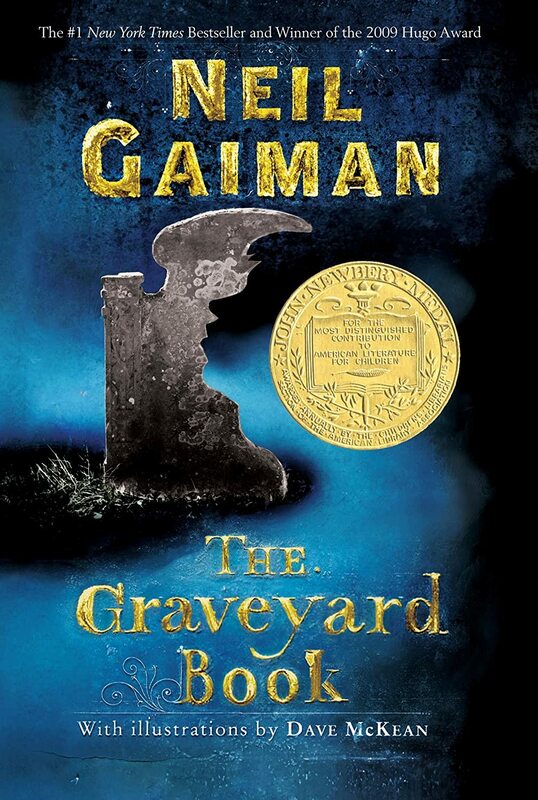 I expect that my students will give me some good suggestions, but if you can think of a must-read book for grade 3-5 let me know in the comments. After 11 years of teaching fifth grade, I feel pretty comfortable with the upper elementary literature, but I have no idea what third graders read. For the last four years, one of my last week of school activities is to ask my kids to write down a few things that they will remember from my class. I assemble their words into a word cloud. 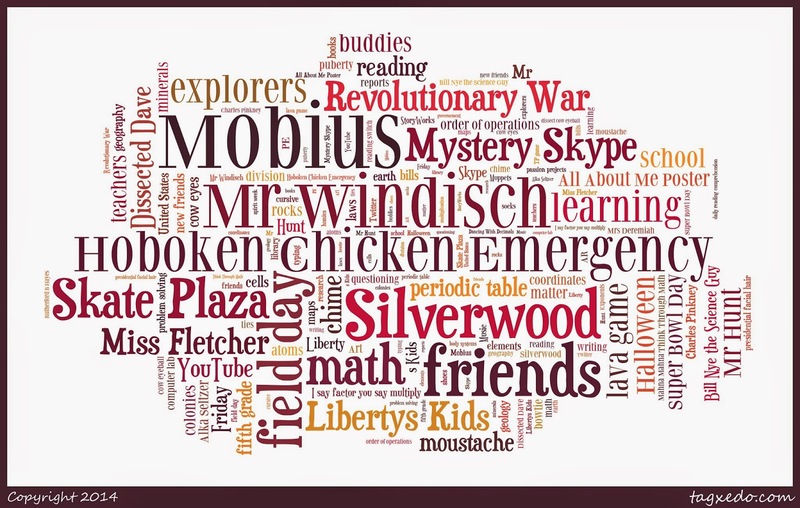 I present the 5th grade class of 2014 word could! Every year it seems like I have more and more reluctant readers - students who are capable, but just don't choose to read. The Idaho Core Standards definitely require more of our readers than our previous standards. With those changes and our school dropping Accelerated Reader next year, I hope this book will give me some new ideas for my reading switch groups. When I first joined Twitter, this was the book that kept popping up in my feed. I downloaded it before my spring break vacation, but I haven't found the time to read it yet. At last week's #idedchat, the book came up and I hastily put together a book study group for the summer. I'll post details about the book club as we figure it out. This is another book that the teachers I admire most on Twitter frequently reference. In my new position, I am switching from having a somewhat flexible schedule with my students to 50 minute blocks with a group. I need a plan that will give me the most impact with my short time. I'm hoping to find some ideas here. I am always amazed by what a fun and friendly community of teachers I have found on Twitter. And one of my favorite Twitter events is Wednesday night's #WeirdEd chat. We've discussed how being weird in the classroom builds relationships, how education relates to Pixar movies, and had a very serious exploration of violence and safety in schools. Doug Robertson is the ringleader of this wonderful chat, so I want to read his book. 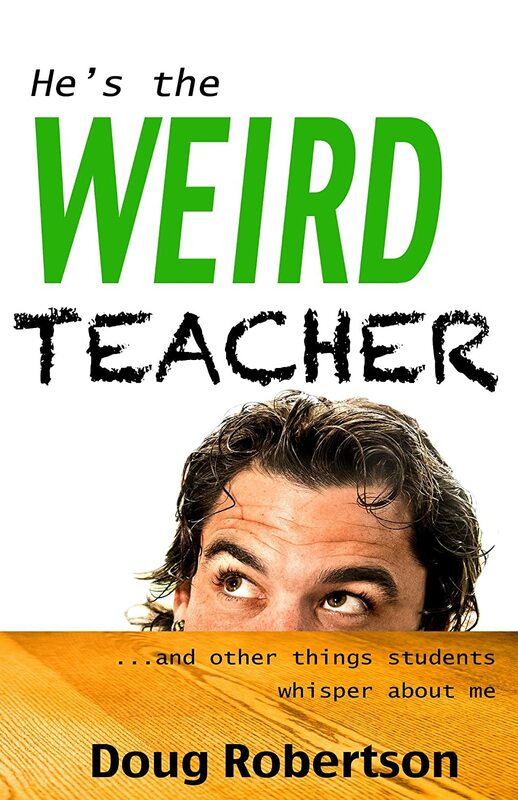 Plus, I've overheard students say the title of this book when talking about me. If my kids want me to read it, so be it! This was my principal's teacher appreciation gift to the staff. I've heard quite a bit about Carol Dweck's book, Mindset, and the power of moving from a fixed mindset to a growth mindset. I generally have a growth mindset, but I don't know how to impart that to my students. Maybe I'll find a plan here. Next week, my elementary school will fall to the wrecking ball. Not the one I teach at now, but the one I attended. 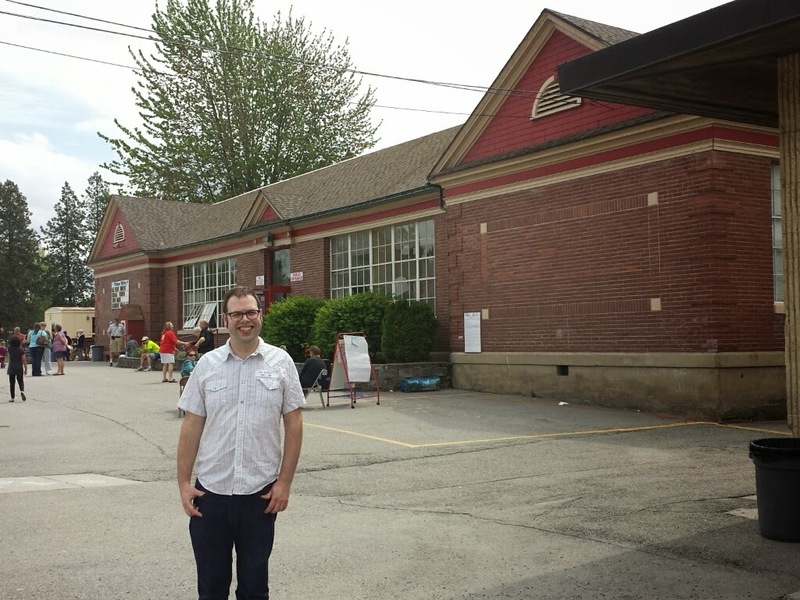 I'm so happy to see how our community is supporting our schools: voters passed a bond that will replace my elementary school and remodel four other schools that were in desperate need, including the one I currently teach at. The current staff at Winton held an all-school reunion, so I had one last chance to walk the halls. I even got a hug from my second grade teacher in the room where I learned from her almost 30 years ago. I also added my memories of the school to a time capsule that future students will get to explore to learn their school's history. I attended Winton Elementary from 1984-1989 for first through fifth grade. At that time, Winton students were known as the Winton Warriors. Our mascot was a knight with a pencil for a lance. Winton had the best playground of any school in town. The west end had giant tractor tires that I liked to climb and hide inside of. Next to those, there was a zip line that always attracted a long line during recess. The furthest northwest corner had a dirt slope where we would dig out “garages” and build ramps for racing toy cars. There were swings, teeter-totters, and the large field to the east, but the very best part of the playground was the large play structure in the middle. It was a huge wooden U with different levels to run around on and two wide metal slides. In the center was a net made out of tires. We would play “toilet tag” on the net. The person who was it would try to reach though the tires to tag kids playing on the net. Anyone who was tagged would join ‘it’ under the net. If someone touched one of the posts at the corner of the net, it “flushed” the toilets and everyone who was ‘it’ had to run around the entire play structure before re-joining the game. Some of my other favorite memories of Winton included the first grade Easter hat contest, the annual science fair, the monthly “Perfect Peanut” assembly to honor students of the month, field day, and Friday ice cream sales. When I was in fifth grade, the ceiling over my classroom became weak and was in danger of falling. For the last month of school, all of the fourth and fifth grade classrooms had to be evacuated in order to make repairs. The fifth graders had class in the gym, and fourth grade classes were moved to Borah Elementary School. I’m sure all of those changes at the end of the school year were tough on our teachers, but I remember thinking that moving our desks down the hall to the gym was a lot of fun! I’m sad to see my old elementary school go away, but I am excited for the fun and traditions that will be created with a new Winton Elementary. I will definitely keep an eye on all of the great things that happen there! As I look at my memories, I'm reminded how wonderful student-generated play is. I'm certain that toilet tag was student created, student taught, and student regulated. Just imagine reporting "he's cheating at toilet tag" to a teacher. It would probably get the game shut down. I hope that my students have secret recess games and activities that bring them joy. Also, I am amazed that my fifth grade teacher survived moving class into the gym! I know there were well over 30 students in my fifth grade class. I have a hard enough time keeping my fifth graders focused for their last two or three weeks of elementary school even when we're in our regular classroom. I love that Winton's new building will contain elements of the old one. Still, I'll miss having the old building around: it held so many memories for me.